It sounds so enticing, right? 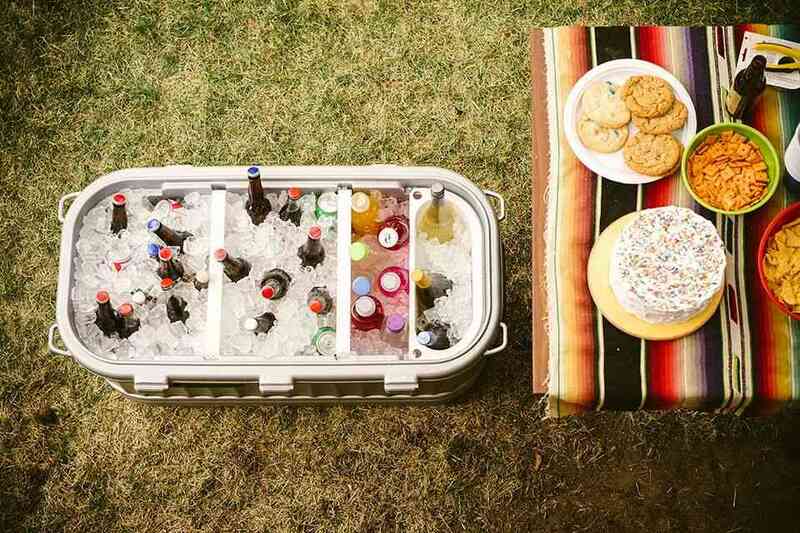 To have a sleek cooler for the beach, every eye turned to your direction in admiration of the ice chest in your hands. Some can’t help but drop a nice compliment. They wish they’d own a cooler of this caliber which reflects the scorching sun rays, durable, build with robust insulation to keep your drinks and beverage cold throughout the day, and to top it all of, it’s aesthetically pleasing. It’s something to be proud of, and everywhere you turn, somebody wants to know the model of the cooler and where you purchased it from. You may not be the attention freak, but you’d sure like people to compliment your things, it’s an obvious sign that you have made the right choice. However, finding that type of perfect cooler is as hard as winning a lottery. The problem is the market is filled with different cooler types. In such situations, you’d easily get confused on what to buy. 2.3 So what type of cooler do you need? You probably have no idea where and how to find stellar beach coolers, that’s why you are here in the first place. Not any cooler is ideal for beach purposes. You’ll need the cooler that possesses all the qualities I made mention of above. 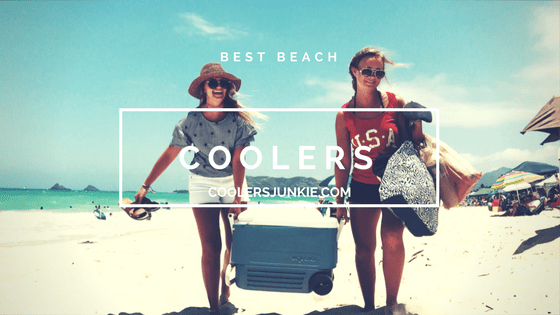 So in this post, I’m going to show you how to find great coolers for the beach. And all you have to do is read the review for free is scroll down. Plus I’ve added a small buying guide to walk you through when trying to buy one. 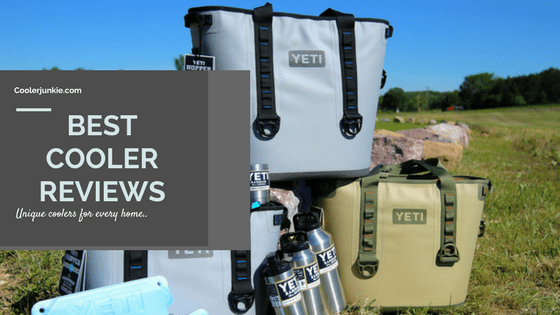 The Yeti company doesn’t need an introduction and definitely not the hopper cooler. But for those who don’t know, Yeti is perhaps the most famous cooler company. Although their products are a bit expensive, their rotationally molded ice chest line is unmatched in terms of durability. 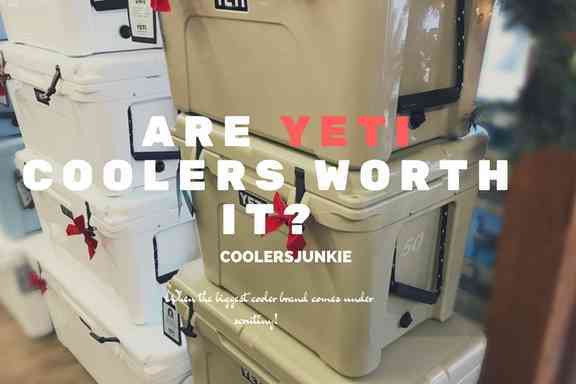 But before we begin looking at how good the Yeti hopper is, there are some things you should know about this soft-sided cooler bag; its ice retention is beyond average, tests and reviews have proven the Yeti hopper to retain ice for a minimum of 3 to 4 days. Speaking of the specifications, a tapered body with padded handles make for easy carrying. Thanks to the waterproof DryHide shell, food and, drinks remains cold. The zippers provide a perfect water seal. However, it might get a bit hard opening / closing the zip. Yes, it comes in numerous sizes of 20, 30, 40 and it has an offshoot series called the Flip. From the dimensions, you’ll realize the portability of this beach bag fits in your car without hassles, while carrying it much is easier than lugging a hard cooler. One cool thing we like is the tight welded seams which makes it leak proof. Tie downs ensure this ice bag is not only for the beach but for marine purposes too. In all, the Yeti cooler bag is best for people that don’t need to carry much to the beach. 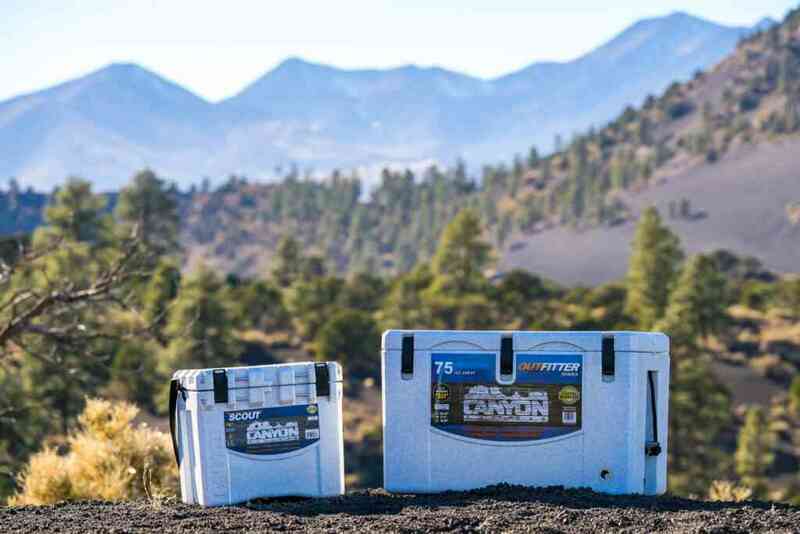 If you are looking for something bigger, you should take a better look at the coolers reviewed below. To be honest, the Yeti hopper is a bit overpriced. Is it worth it? Well, it depends on what you like and your budget. True, there are cheaper options than the hopper. However, this beach bag is there to serve you, and serve you well. The beach cooler we are looking at combines both hard and soft materials to keep your drinks cold, while the exterior compartments are handy for storing accessories. In the main interior compartment, leak-proof liners, plus closed cell insulation locks are utilized for maximum ice retention. With convenient wheels and telescoping handles, it’s a breeze to drag the cooler on the sand. However, it might get a bit cumbersome to roll on hard terrains when filled up. There’s a bungee cord on lid that lets to carry extra gears. Our only issue with the Igloo max cool fusion is that it should have used sturdier wheels to make ease for rolling on beach. Aside that, there’s nothing worth pointing out as bad. With great exterior pockets, maximum ice retention and affordable price, you don’t have much to worry about. For men of style, having unique products is all that matters. How about carrying a cooler to the beach that can seamlessly connect to your device via Bluetooth, and play great songs through the blazing built-in speakers? With the KoolMax, you don’t need many accessories to start a party on the beach. Note: this cooler is considerably loud, but don’t expect a woofer performance from it. 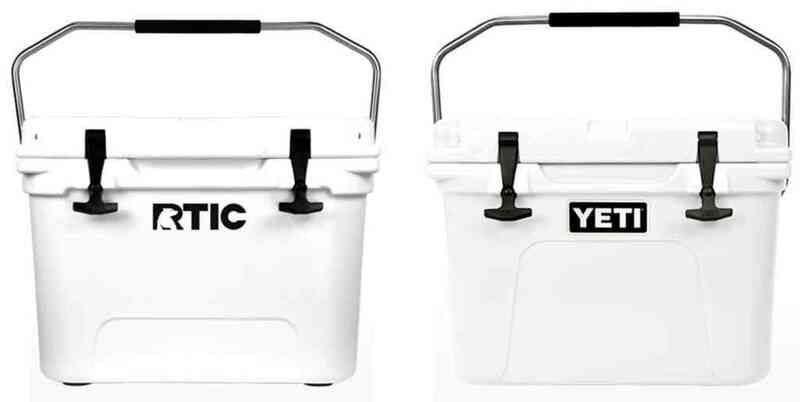 This 40 Quart cooler is quite spacious, up to 48 cans or 28 beer bottles can fit into this cooler for 3 days. Coming with ample features like; FM Radio, USB and SD card slots, standard jacks and Bluetooth music player that’s water-resistant, it’s designed to keep you entertained, while ice remains ice. The highlight of the of the cooler is the 12-volt plug for charging, which means it’s a thermoelectric cooler. With the koolmax in your car, You’ll never run out of ice, and it offers an exciting day at the beach. With that said, this beach cooler includes heavy duty wheels, telescoping handles, fold outside handles for effortless transportation on the beach. With all these features, you’ll expect a price that’s out of this world, but no, this beach chest is quite affordable. However, some users mentioned that the features are too much clutter and not well built to last. Aside from that, this is one of the coolest looking ice chests on the market. Not as popular as the Igloo and Yeti, the Rubbermaid cooler is less talked about but its functions speak for itself. The Rubbermaid durachil has impressive looks, from the design standpoint, it is actually the best-looking cooler after the Yeti hopper. With extra thick insulation around the walls, the cooler can keep ice for up to 5 days. Yeah, that is more than you bargained for. It includes a specially constructed hinged lid with a split lid design; the other half is unmoved, while the other lets you get to your drinks easily. The hinges helps keep the lid open even when unattended to. Also present is an extended tow handle to transport the cooler. The wheels are sturdily built and can easily roll on the beach and tough terrains. So is there more to this beach cooler? Oh yes, it features 4 cup holder which is embedded in the lid, and the drain purges water efficiently. There is no way this beach wheeled cooler is perfect, for starters, the hinges are weak and some users have complained of leaks. However, don’t let that deter you from buying one the best rolling cooler for the beach. The Coleman beach rolling chest is one of the best you can buy. It is classy, features an excellent design, steep insulation performance, efficient roller skate wheels, and an affordable price tag. It also includes an extended telescopic handle plus side handles for extra comfort. Utilizes easy to clean PEVA liner which is incredibly easy to clean. Front zippered pockets for safekeeping of valuables plus side mesh pockets. There’s also a lid bungee that helps you tie extra gears on the lid. Spacious size means you can fit in 42 cans, while it manages to hold ice for days. Speaking of construction, the bag has an interior hard plastic liner, protecting your food and drinks from getting crushed. 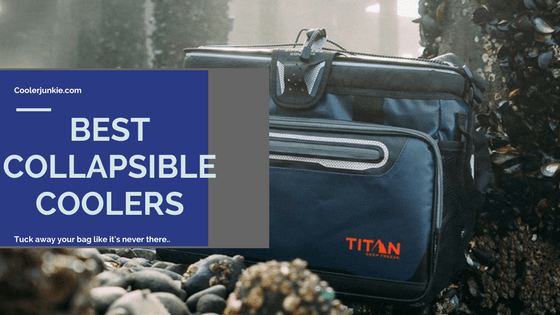 If you the type that loves a convenient cooler bags that retains ice perfectly for a day at the beach, and someone who needs extra pockets to store accessories, then the Coleman rolling cooler is a winner at hand. The homitt is easily the best beach cooler on the list. It’s a gorgeous cooler, and the ice retention is impressive. Unlike regular soft coolers, it has an advanced insulation constructed with 3 layer insulation and leak-proof interior and exterior. The Manufacturers prides itself on hommit’s capability to hold ice for an excess of 5 days. Although a bit exaggerated, some users have given an average of 2 – 3 days at maximum. In addition, designed with a leak-proof liner, the cooler doesn’t sweat. Interior size of 16.1 L * 8.6 can store up 30 cans of drinks and still have enough room for ice packs. Regarding transportation, the product holds a padded detachable should strap, and two sides handle for ease when carrying. Finally, there’s an exterior zippered space in the back, although limited, you can store receipts and keys there. The homitt is a bit expensive compared to most coolers on the list. However, if you don’t want a compromise of the quality option, this is an easy beach bag you can pick and will last for long. The Mier is the cheapest quality beach cooler on the list, period. With such a low price, you are likely wondering if the cooler is worth your time. Right? It’s better looking and even better than some regular soft-sided coolers you’d find on the market. With an insulated main compartment, ice stays for long. Front zippered pockets for keeping your accessories and two sides mesh pockets come as extra storage. with that said, it also comes with an adjustable padded strap that will make you forget it’s on the shoulder. 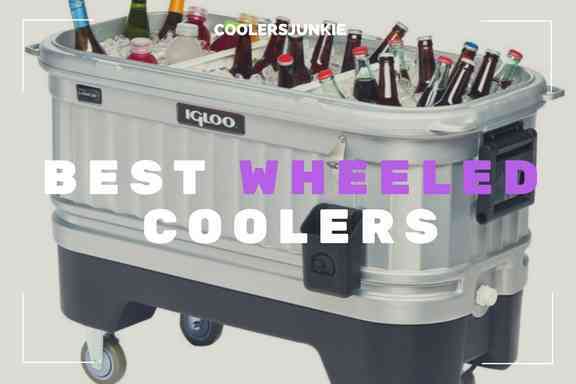 The best part of the cooler is it’s foldable, when not in use you can easily keep it away. Capacious, 24 cans can fit into the bag without hassle. We haven’t experienced any problems reported by users so far, most of the reviews were favorable. To sum it all, this bag won’t require you to break the bank, spacious and can hold ice for a day’ s use. Although this factor may seem unnecessary, it’s the first step you should take before going to the beach. Now you wouldn’t want to get a bag that’s small, restricting the items you can carry, too large and you’ll look like a clown. Depending on your needs it’s advisable you go for a cooler that’s a bit bigger than the kinds of stuff you want to carry. This is just to be certain about all your gears fit into the chest without hassles. Especially in the summer, your cooler will likely be exposed to the harsh sun rays at the beach. But how does that affect your choice of cooler you’d ask? 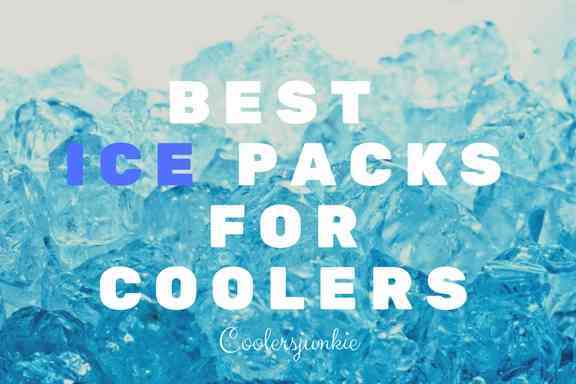 Nothing can replace ice retention as the single best reason you need cooler. Apparently to keep your drinks and food cold for as long as the period of occasion. So what type of cooler do you need? Coolers that can normally hold ice for 2 to 3 days are acceptable, considering that these coolers are soft-sided and would hardly retain ice beyond that mark. 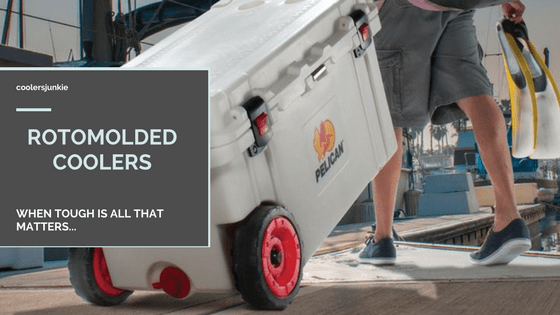 All the coolers on our list have met the average ice retention and insulation performance you’ll consider before buying one. A day at the beach means you’re likely to take more drinks than you would on a regular day. This means the bag is frequently accessed, and you might risk losing all the ice. Pick a cooler that has a wide lid and base, which lets you access items without groping or digging much to find what you want. Beach bags are often soft-sided and don’t cost much. 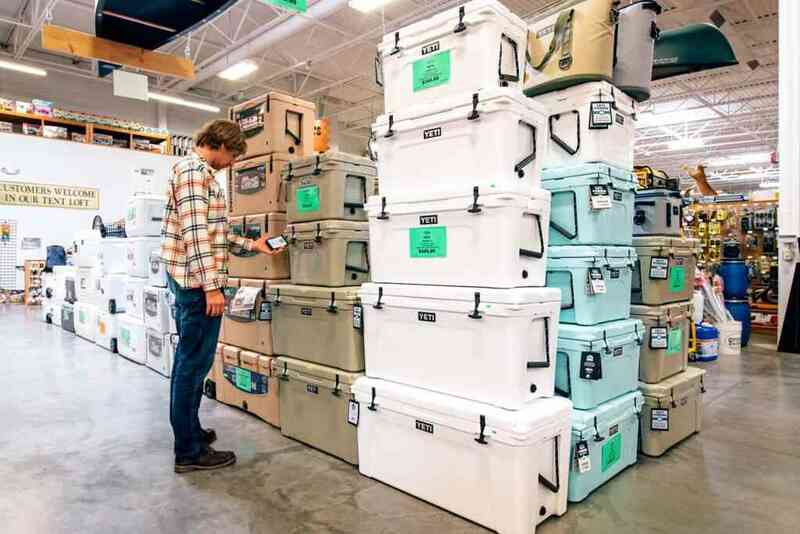 On average, below $100 is a good price to get a cooler for your next beach trip. However, some coolers like the Hommit and Yeti will demand a bit more. What makes other coolers unique and different than others is the added features that enhance ease of use. Cooler with wheels can help you roll it on the beach especially when it’s full and heavy to carry. Cool features like extra compartments, built-in opener, and cup holders are something you should look out for. These best coolers for the beach are stylish, elegant and you can show them off to your friends. Without being too expensive, they are built with enough insulation to hold ice for at a day. The beach chests are convenient and portable to carry around, due to the ergonomically design. They are designed with quality liners which prevent your bag from melting the ice even when exposed to the scorching sun rays. Good list of all beach coolers. 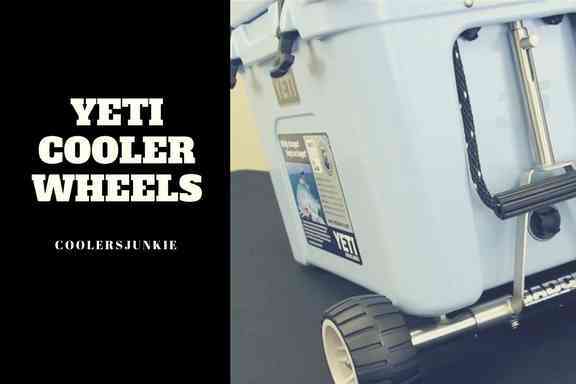 Can you add Rovr wheeled cooler in your list.